A classic dessert! Buttery rich and caramely pineapple makes this yellow cake. Chunks of Pineapple, Mandarin orange and cherry filling tossed with whipping cream and milk. Easy Pista cake recipe in which pistachios are blended well with ghee, samolina, sugar and rose water. 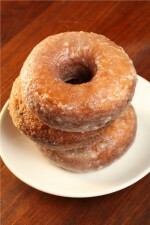 Potatoes based donuts coated in succelent sugar syrup. Delicious cheesecake recipe made with cookies, cream cheese etc. Yummy n quick dessert perfect for this hot summer days. Very nice and unique way of preparing mango delight. Milk balls soaked in condensed milk delicately flavored with nuts and sugar. Milk balls floating in warm sugar syrup. Soft, Juicy and Spongy sweet made from milk. Rasmalai is the dumplings made from milk powder, egg and Flour. Try our quick and easy recipe of this popular dessert without chesse. I bet You will love it!!! Milk balls soaked in fragrant condensed milk. Very delicious dessert serve on all the important ocassions. A rich bread pudding recipe with dry fruits, flavored with cardamom. Siwayan is a very popular sweet dish that is widely cooked on the special occasion of Eid.